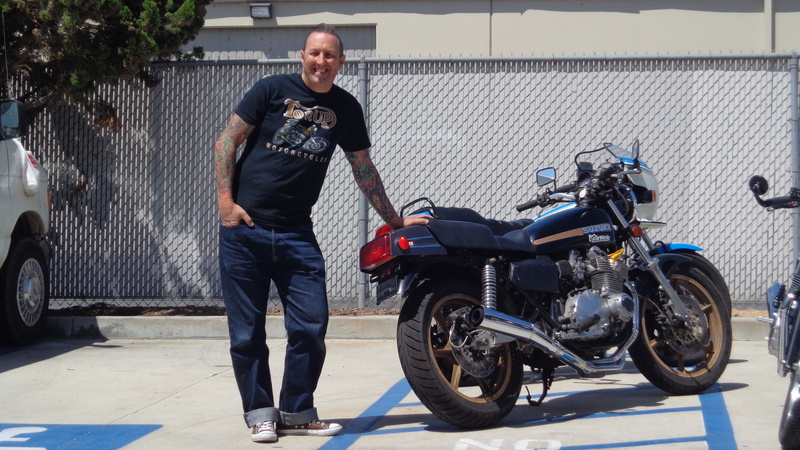 Well, here we are with a couple of killer machines and we are going to be making some Yoshi style exhaust systems for these 2 and 8 other GS bikes for a Customer of ours. It is always great to make stuff for other machines and I have been approached a few times from Suzuki and Kawasaki owners so this is the result and we shall be making some very cool exhausts for these machines. These bikes were super fast in their own time but when the Yoshi style exhaust is fitted, this will sound just like the day when these guys were busting up the tracks in production races. This bike has many modifications and hauls balls, so with a new bike and tune, this will really be a neck snapping experience. If you are a GS fan, then you will understand how cool it is to have 2 in our stable to work on. 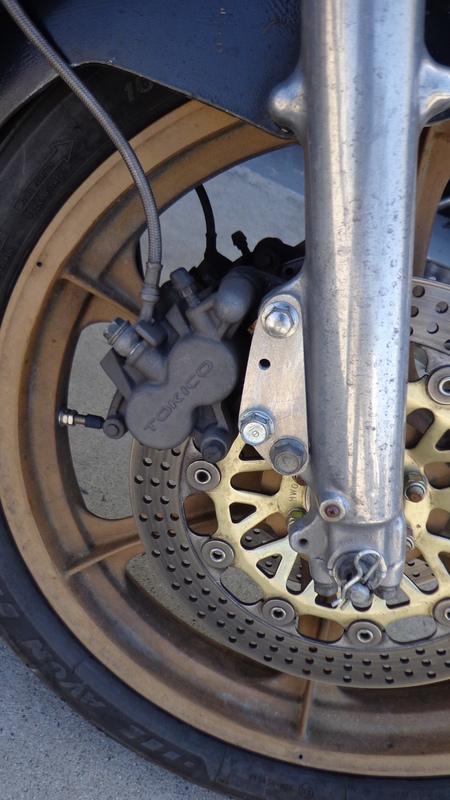 Yeah- I am digging the brake set up too. 29 Smooth bores gets the squirt to where it has to go. So stay tuned on these two heavy weights. Below is a Wes Coley style machine from back in the day and that will be great to make an exhaust for as we shall be using one of the original catalogs to copy from. Wes Cooley was the premiere rider for Yoshimura in the first AMA superbike race of 1976 in the Daytona 200. They took 4th and only got better from there with 3rd the next year in ’77 . Cooley’s unorthodox riding style wowed the crowd by coming into the corner with the back tire skidding and smoking only to gunn it out the other side on the kz1000. After a few seasons Yoshi switched over to Suzuki as the factory team in 1979 and dominated with a 1-2-3 sweep consisting of Ron Pierce, Wes Cooley and Dave Emde. 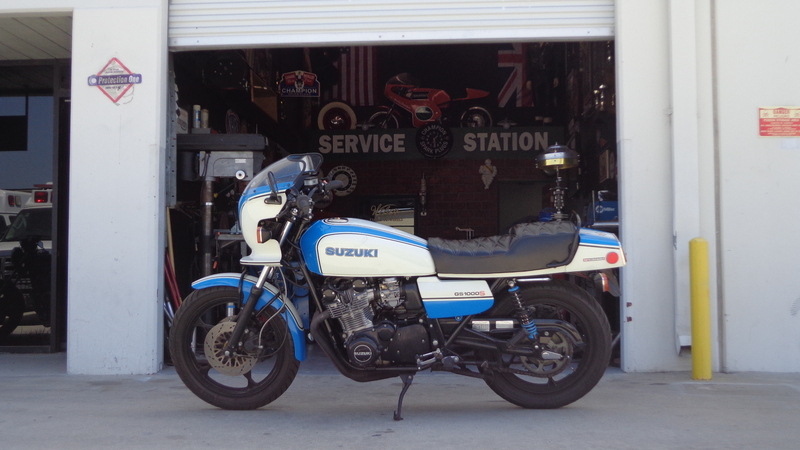 Unlike the Kawis the Suzukis had power and a chassis that handled which showed when Steve McLaughlin won the ’78 title on a Yoshi built GS1000 and Wes won the title in ’79 and ’80. The GS1000 was based around the successful GS750, which was the lightest of the 750’s available at the time. 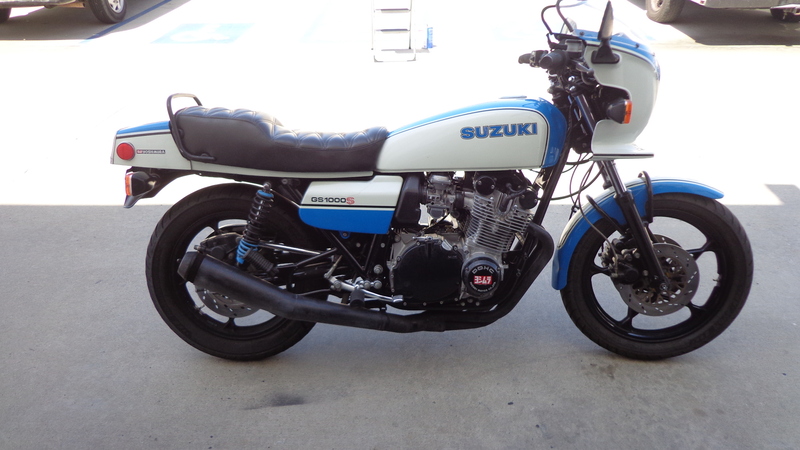 What Suzuki wanted was a simple design, that benefited from solid engineering and light weight. And they succeeded. The GS1000 was only slightly heavier than its smaller brother, which was quite an achievement. 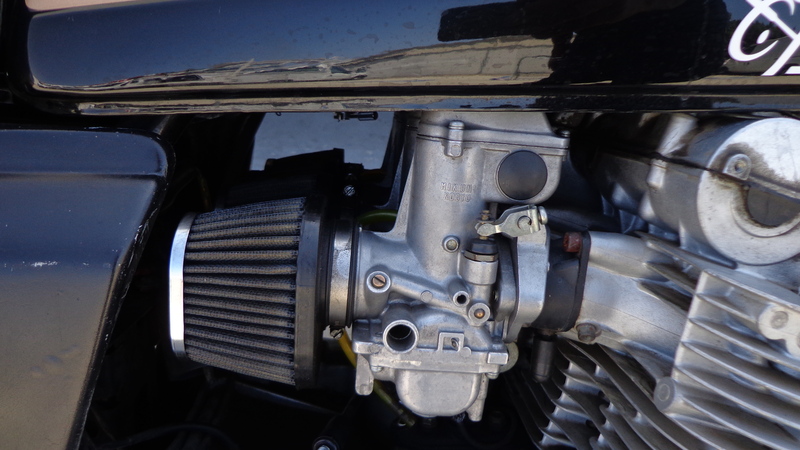 By lengthening the stroke of the (relatively short stroke) GS750 engine from 56,4 to 70 mm the cylinder displacement was enlarged from 748 to 997 cc. 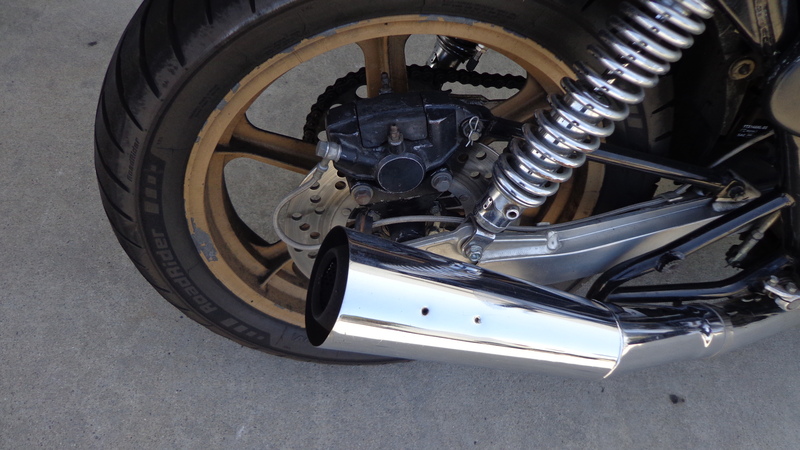 The lower end of the GS750 was strong enough to cope with the 1 1 liter cylinder displacement but the list of modifications was longer than just adding 14,6 mm to the stroke. The redesigned 750 engine put into the 1000 was actually lighter than the 750 engine! The power output in 1978 was given to 83—90 hp depending of the export country (differences in environment and noise regulations). 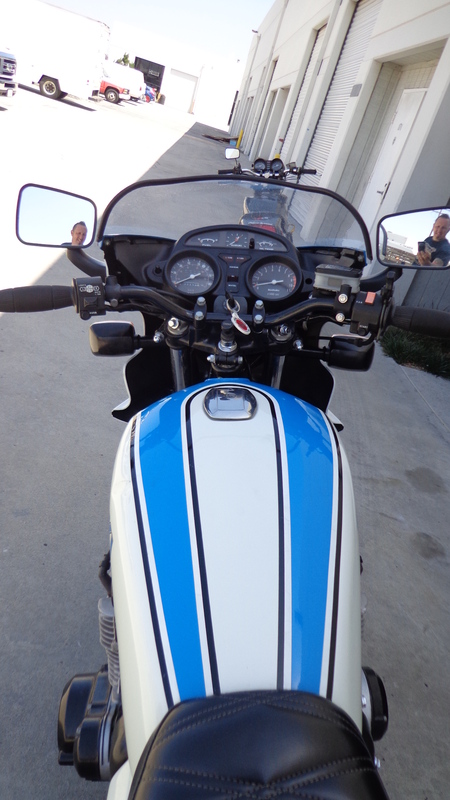 Even in other aspects, the GS1000 was in many details based on the GS750, introduced a year earlier. The GS1000 had five speeds, chain drive and tubular steel cradle frame like the GS750, but there’s many differences between the models, not just cosmetic (the fuel tank and the design of the rear end of the bike being the most obvious differences). The suspension of the big brother was more advanced, using air and oil dampened front fork. 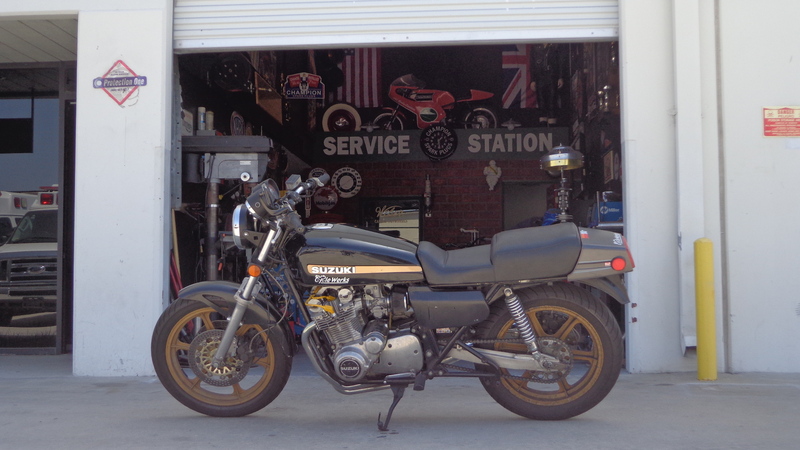 None of the GS1000 models were sold in its home country, Japan, where selling motorcycles with larger than 750 cc engines was not allowed until 1990, the VX800 roadster being the first model sold in Japan with a piston displacement larger than 750 cc. The GS1000 was arguably the best one-liter four-cylinder of its time. The first GS1000s arrived to shops in February 1978. At first the model was called GS1000 (without the E). The first models had conventional rear shocks but in May 1978 they were replaced with gas/air suspension, covered with chromed steel tube. The final version of the GS1000 differed in couple of details from the pre-launch model, presented in 1977. A letter ”S” after a Suzuki model name normally means that the engineers have basically mounted a cockpit (bikini) fairing to the bike to make it (look) more sporty. That’s even the case with the GS1000S. 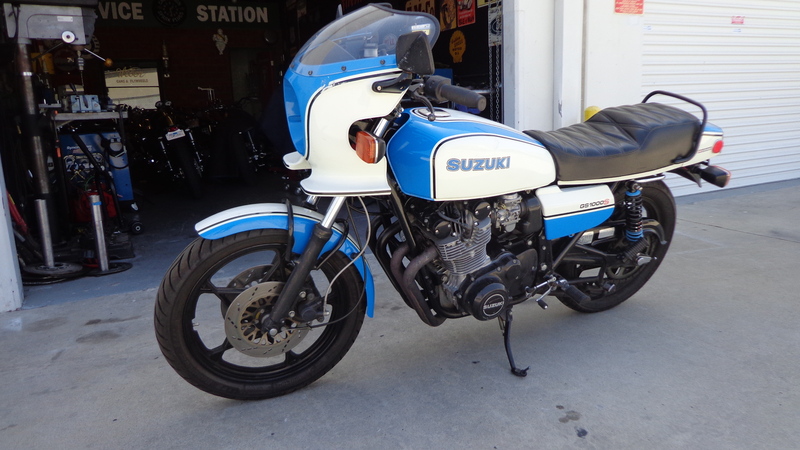 I believe it was the first standard Suzuki sold with a fairing. GS1000S was based on the GS1000E but didn’t have its pneumatic rear suspension. 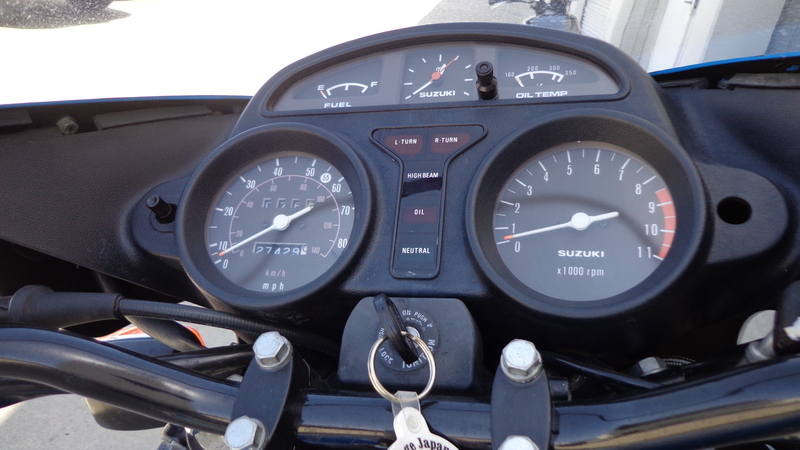 The fairing gained the bike’s weight with 5 kg (11 lbs) and included a clock and oil temperature gauge on the instrument panel. The rear wheel diameter was increased from 17 to 18 inches on the S model. Apparently the German version of the GS1000S did have the pneumatic rear suspension and had a 17-inch rear wheel. Slightly different bikes were sold in different parts of the world. The GS1000S is also known as the Wes Cooley replica. The GS series worked well on the track, too, Wes Cooley and Yoshimura winning the young AMA Superbike Championship for Suzuki in the late seventies. The Suzuki GS1000S actually homologated the fairing for race use in the AMA Superbike class. It was very fast bike, being one of the absolute fastest motorcycles in the world. In today’s standards, the model was a suicide machine with poor high speed stability but back in 1979 it handled as well as its competitors. 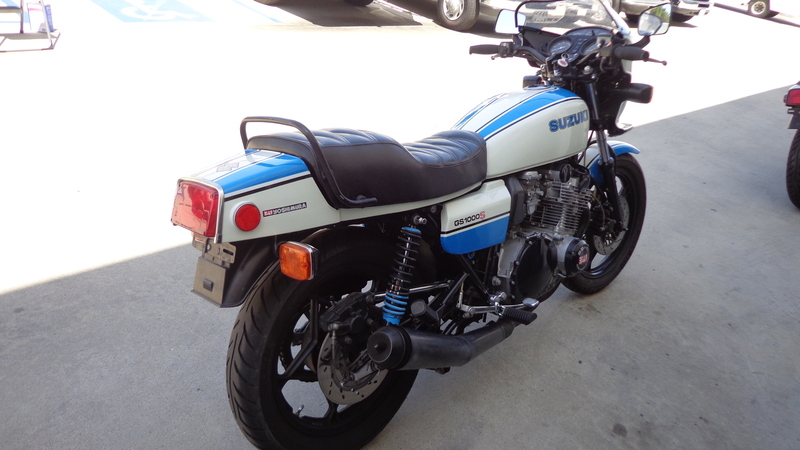 The beautiful GS1000S was manufactured under two years, 1980 being the last model year for the GS1000S. Then the GSX1100S Katana took its place being the fastest and sportiest Suzuki motorcycle. 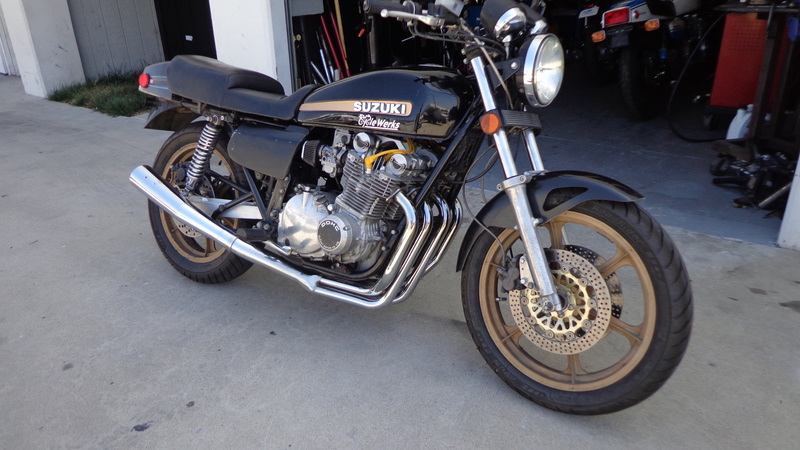 Apparently the nickname ”Wes Cooley replica” came some time after the model was released and the model was never officially known as the Wes Cooley replica by Suzuki. Apparently the GS1000S started being called that after Kawasaki released their Eddie Lawson replica years later. 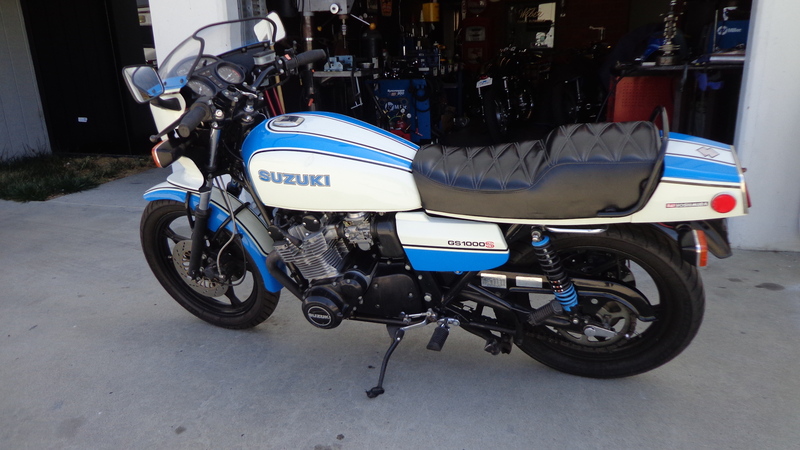 In 1979 Suzuki introduced even a custom version of the GS1000E called GS1000L. It had same mechanics as the GS1000G but had high handlebars, stepped seat, leading axle front fork, smaller fuel tank (15 l/ 4.0 US gal) and short cut silencers. 19-inch wheels. The GS1000L was manufactured between 1979 and 1981. I shall be riding both machines here at the shop to see how they differ as this will be a rare event and I want to a least sample these heavy hitters for my own experience. So stay tuned for more…………. 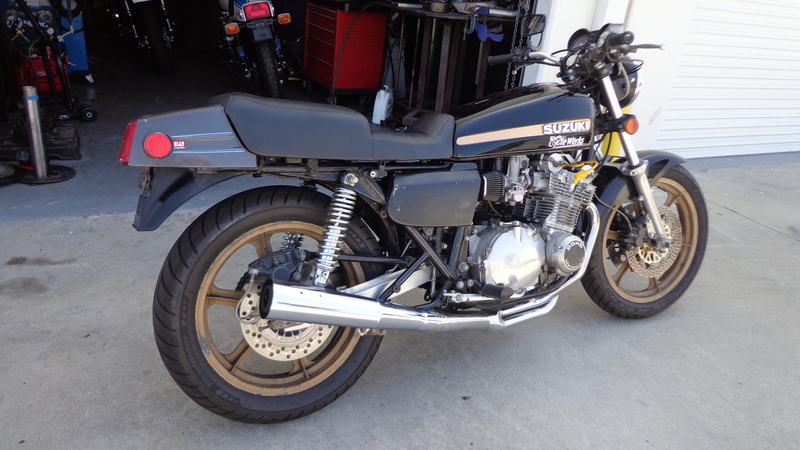 This entry was posted in Blog and tagged ahrma, cafe racer, classic motorcycle, clubman racing, gs100, gs1000 suzuki, gs100E, gs100g, japanese motorcycle, race track, suzuki, suzuki gs1000, track racing, vhrma, wes cooley.